Chef likes to play with trees a lot, so his best friend Smurf has given him a tree T consisting of N nodes numbered from 1 to N.
Of course this task is tough for our little chef and he cannot solve it without your help. Can you help him? 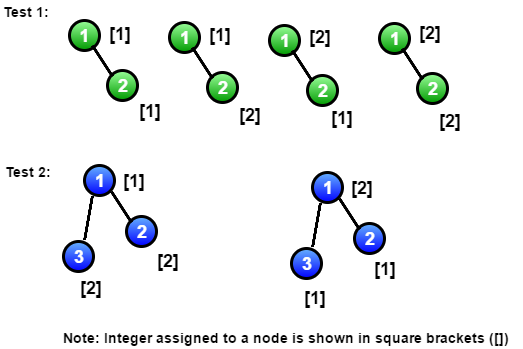 The first line of each test case contains three space separated integers denoting N, M and K, denoting the number of nodes in the tree and the values of M and K respectively. The following (N-1) lines of each test case contain two space separated integers u and v denoting that there is an edge between the nodes u and v.
For each test case, print the answer in a separate line.